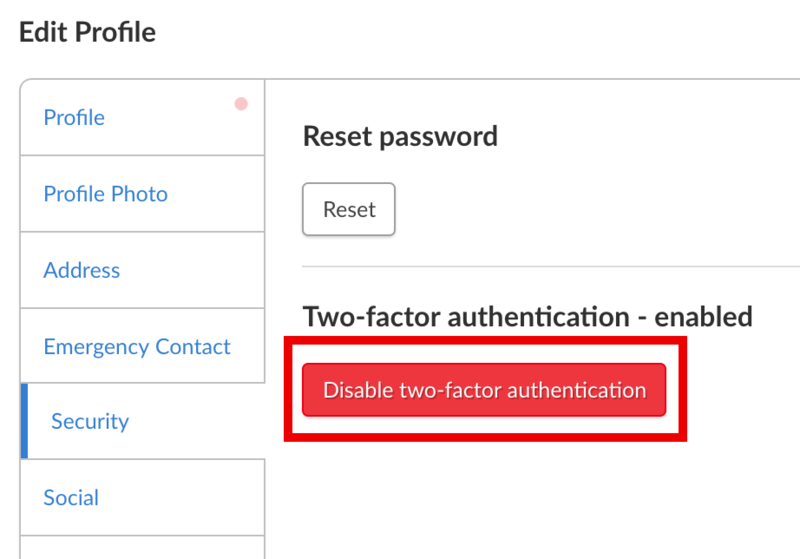 This guide shows how to disable two-factor authentication for your Deputy account. There may be an instance where you need to remove two-factor authentication from your Deputy account, like when you get a new phone and need to switch the authenticator from the old phone to the new. To disable two-factor authentication, you will need to be logged into your Deputy account. You will also need access to your current authenticator app. Log in via once.deputy.com, then click 'Edit Profile', as seen in the screenshot below. Navigate to the Security tab, then click 'Disable two-factor authentication'. You will be prompted to enter a code from your registered authenticator in the following pop-up window. This ensures that your account security is being changed by you and not an unauthorised user. Enter the code in and click 'Submit'. To re-enable two-factor authentication, simply follow the steps provided in our help guide here.